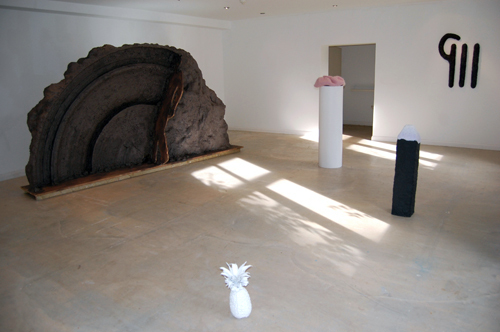 MARTIN NEWTH, FRANCESCO PEDRAGLIO, HEATHER PHILLIPSON, NICHOLAS POPE, TOM WOOLNER. 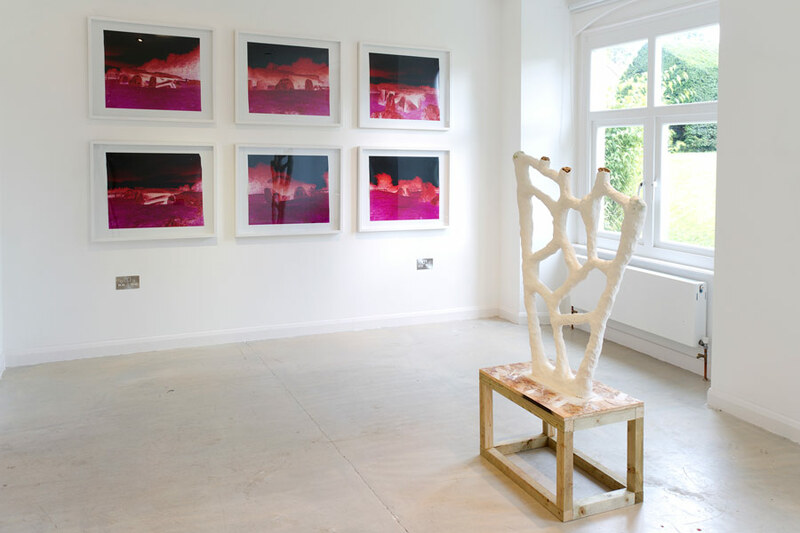 A publication accompanies the exhibition featuring a specially commissioned text by Jonathan P. Watts. 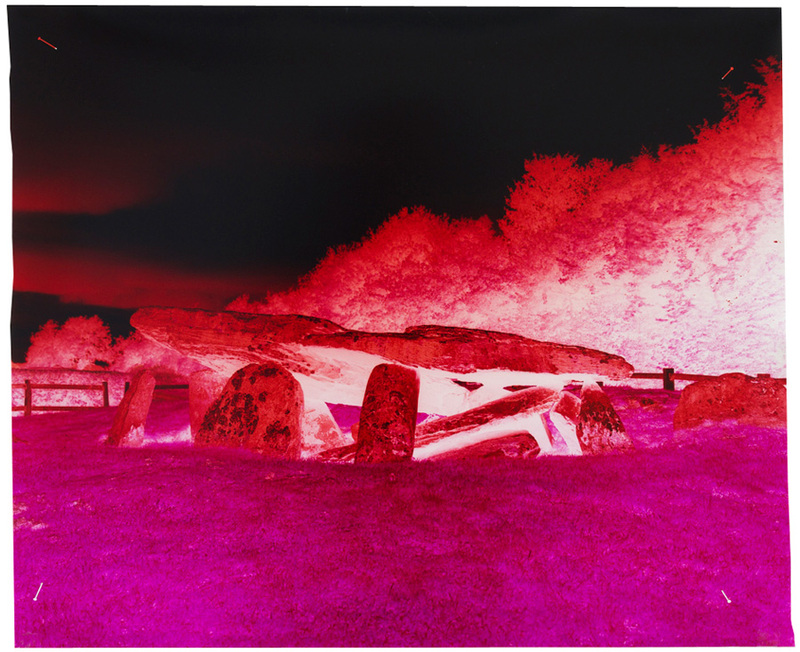 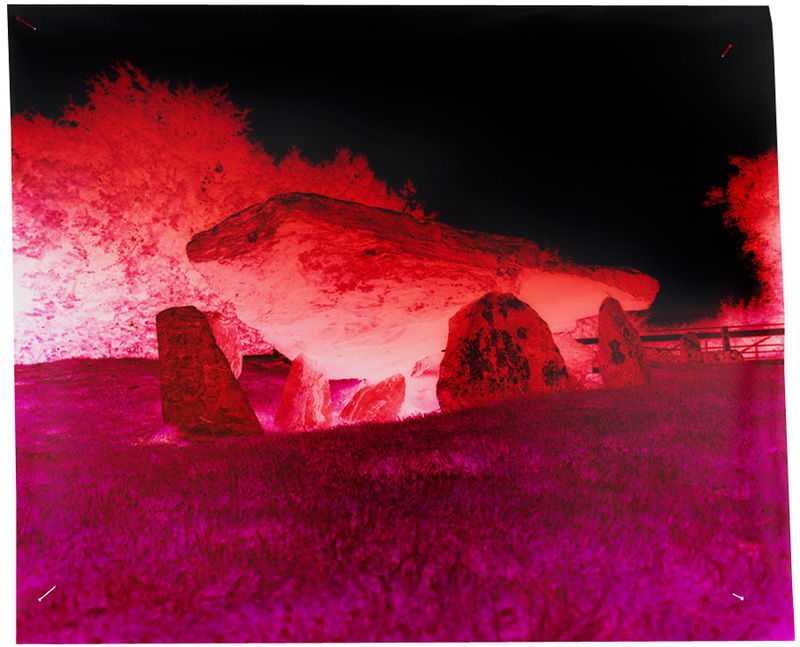 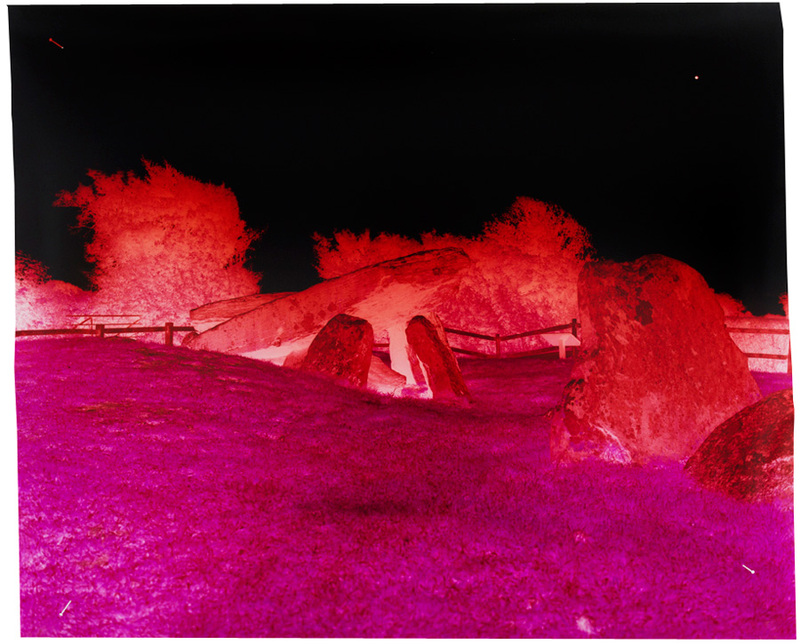 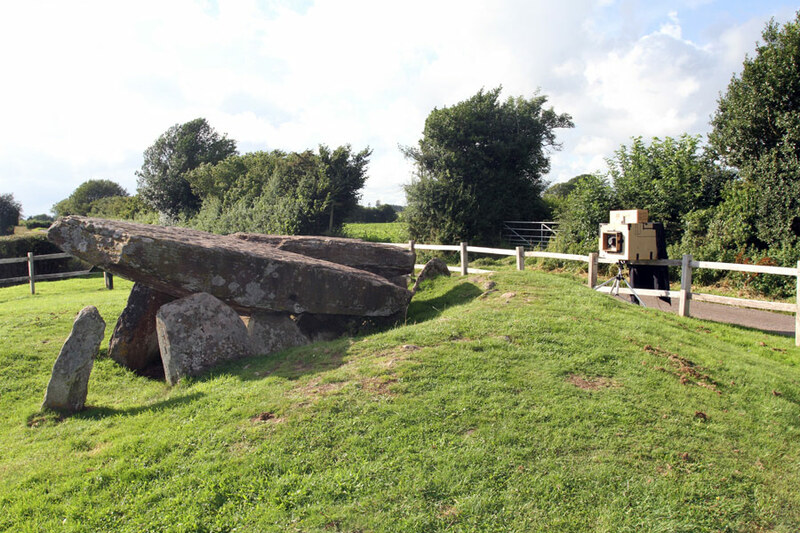 Produced over the course of two days, using a small van and a large cardboard box, Newth’s overexposed images are the most direct response to Arthur’s Stone. 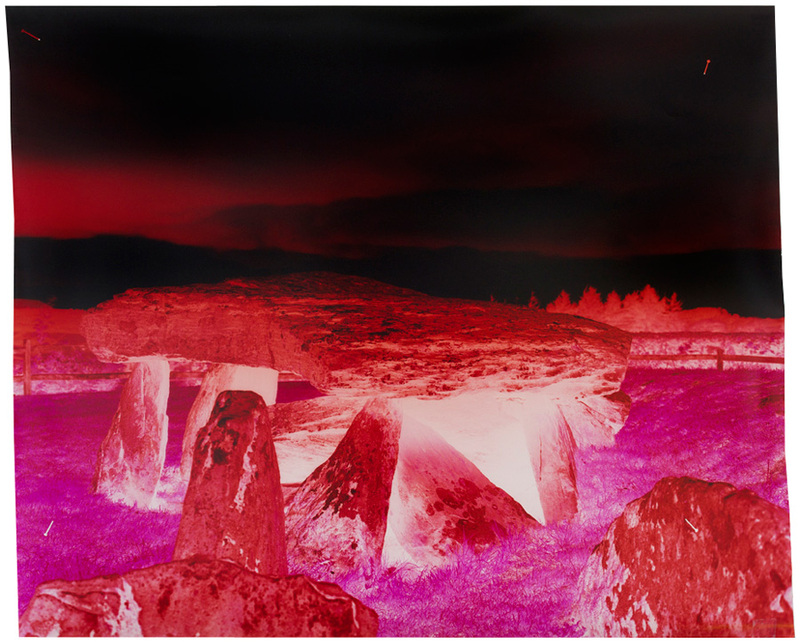 Electrified in sci-fi magenta, the stones throb with the energy of myth and semi-historical meaning. 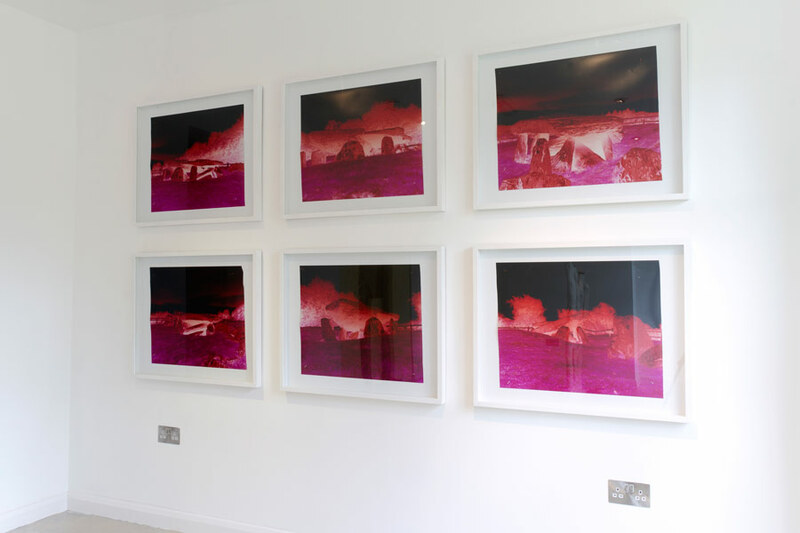 Pinned to their mounts by the same pins (still visible) used to hold the paper inside the camera, these images may be seen to foreground their own processes, and thereby the creation of meaning more generally – particularly within the context of an art world that arguably exists entirely for the proliferation of meaning-making.